A series of works by Tanya Trinkaus Glass, Gerry Roeder, and Lynne B. Wilcox who challenged each other to create 30 new images based upon one original. The results are astounding. Stop by the UAC to see just how far these artists went on their creative journey. 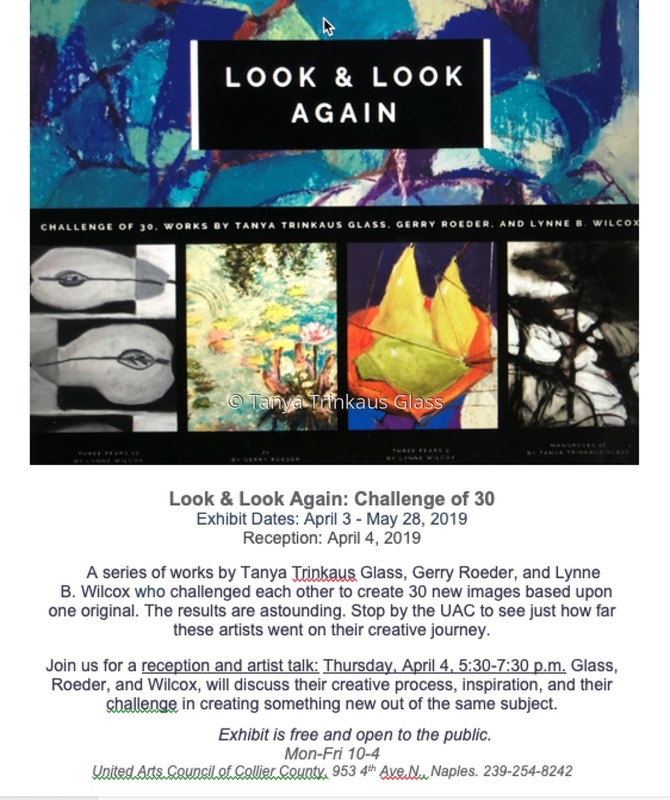 Join us for a reception and artist talk: Thursday, April 4, 5:30-7:30 p.m. Glass, Roeder, and Wilcox, will discuss their creative process, inspiration, and their challenge in creating something new out of the same subject.